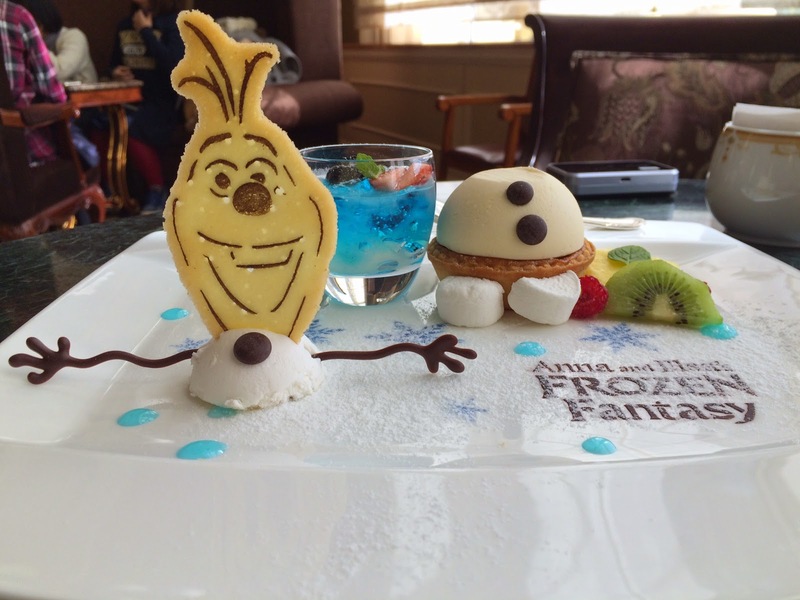 The special plate that I ordered at Dreamers Lounge was called "Olaf Dessert Medley" when my husband had afternoon tea set. 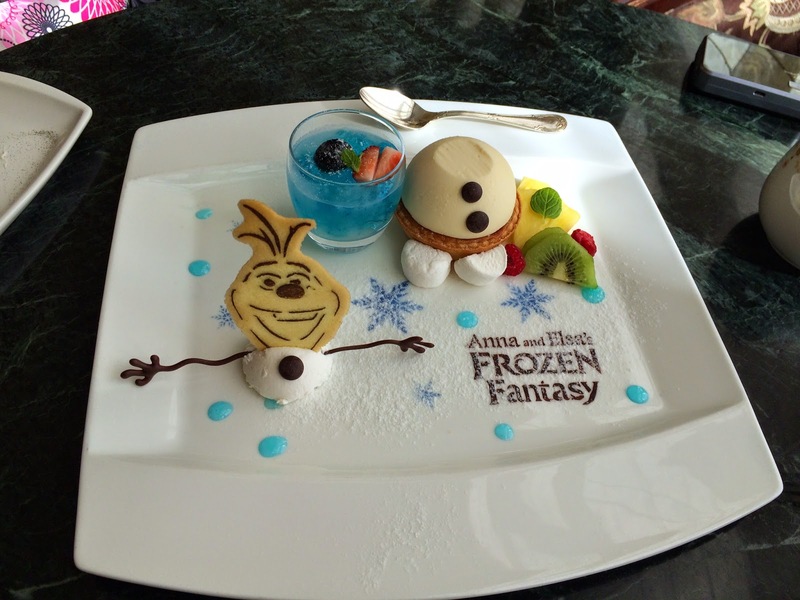 On the plate, "Anna and Elsa's Frozen Fantasy" was written with chocolate, besides blue snowflakes and white powder. 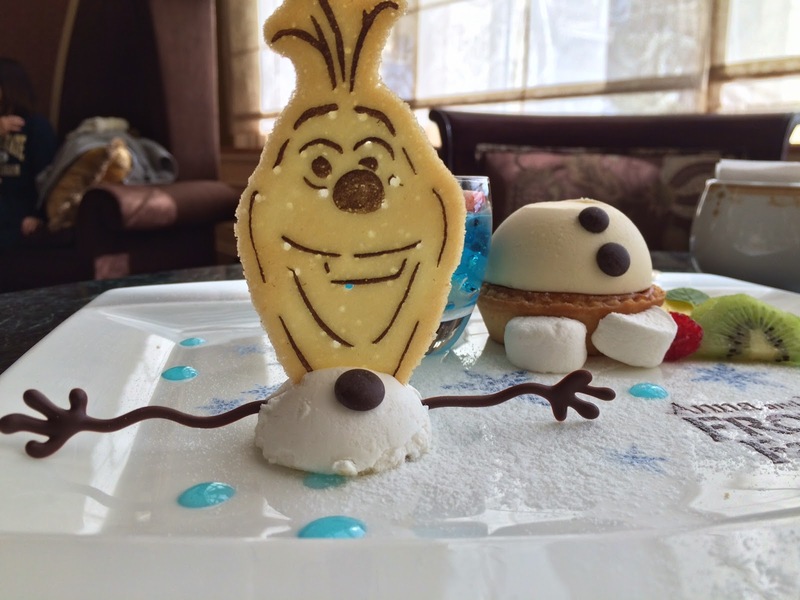 Olaf face was thin cookie, arms were chocolate, and the body was honey parfait. Though it's named "parfait," it's more like ice cream with nuts. The body was white chocolate mousse and tart, and the feet were marshmallows. Fruits on the right was kiwis, raspberries and pineapples. 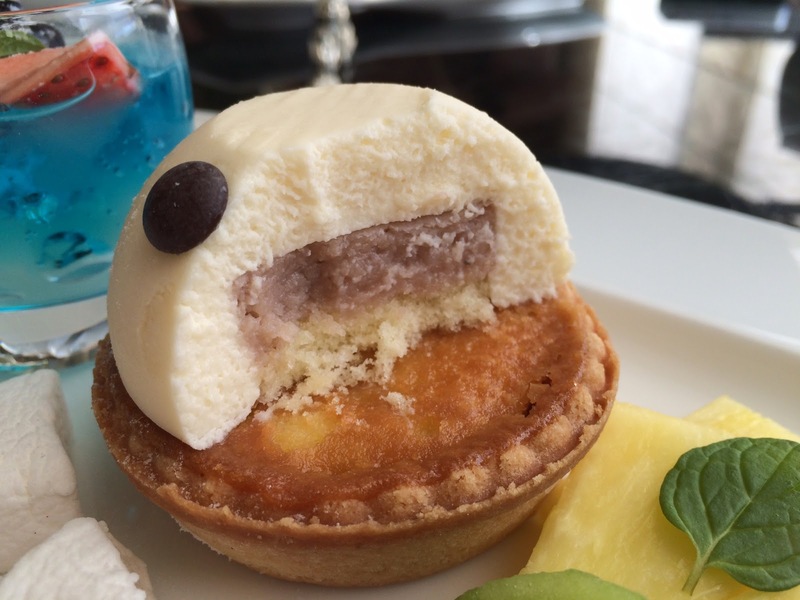 In the mouse, there's some filling with sour taste, but I had no idea what it was. The tart was apple tart and the apples were crunchy and there's sponge. 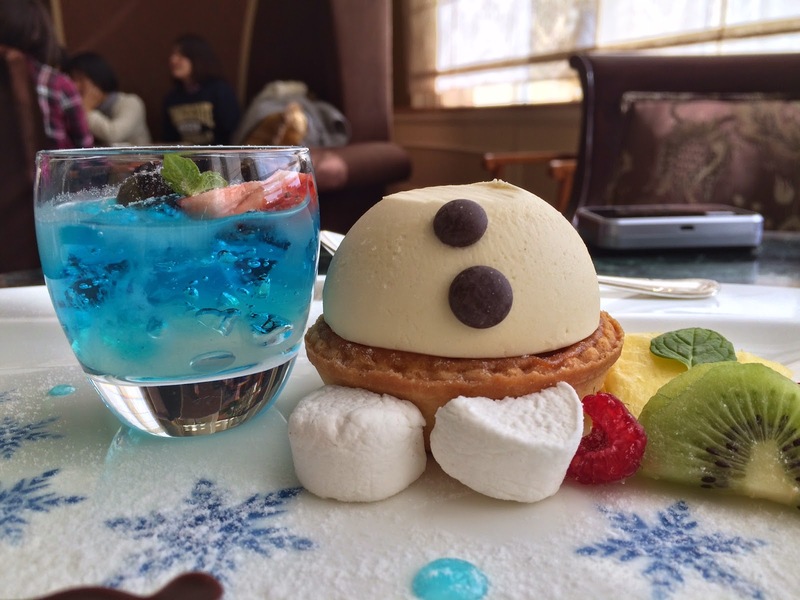 Blue jelly and lychee soup was in a glass cup and blue jelly had lemon scent and was very sweet.